It is no secret, everyone loves a good pom pom. 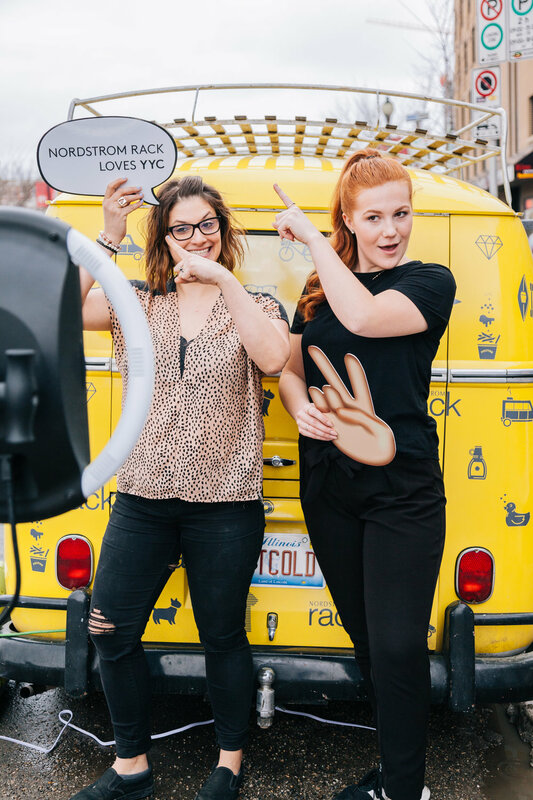 Its why when OutCold and Nordstrom Rack teamed up to utilize a vintage VW Bus, they engaged customers in a DIY Pom Pom giveaway station. 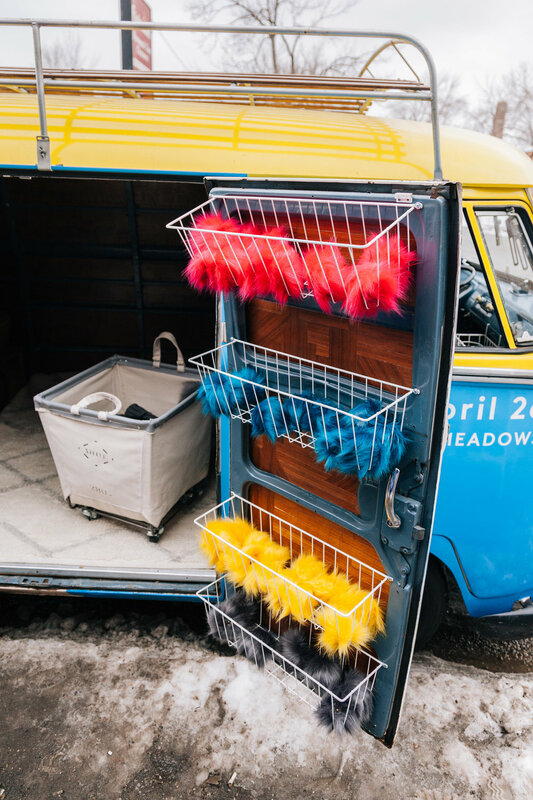 Red poms, yellow poms, blue pom, black poms, OH MY! Color wasn’t the only thing varying in this give away. Consumers also had the opportunity to receive a pre-loaded mystery gift card via an IPad to shop and promote the brands store’s grand opening in Calgary. As much as the give away’s stood their own, the special photo booth/photo ops helped steal the deal on this quirky, warm, cute, activation. 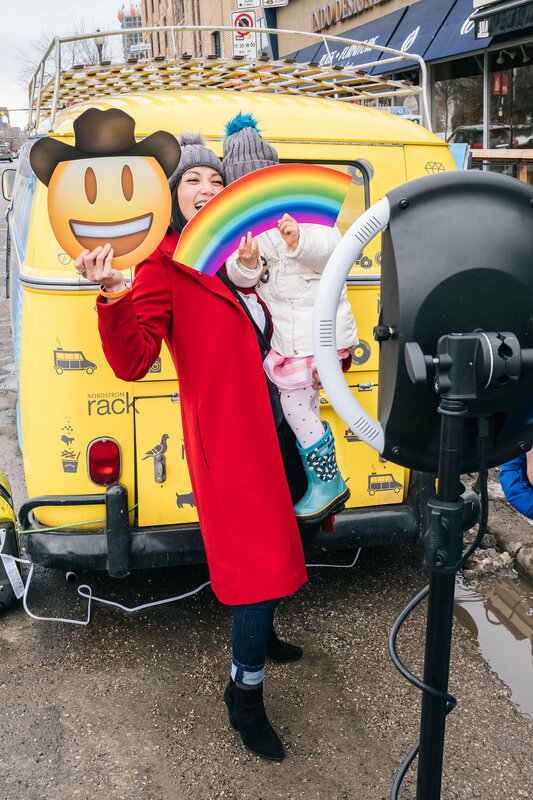 A bright yellow and blue vehicle wrap stands out against the white pop of snow, much like this experiential marketing campaign against traditional boring marketing tactics. 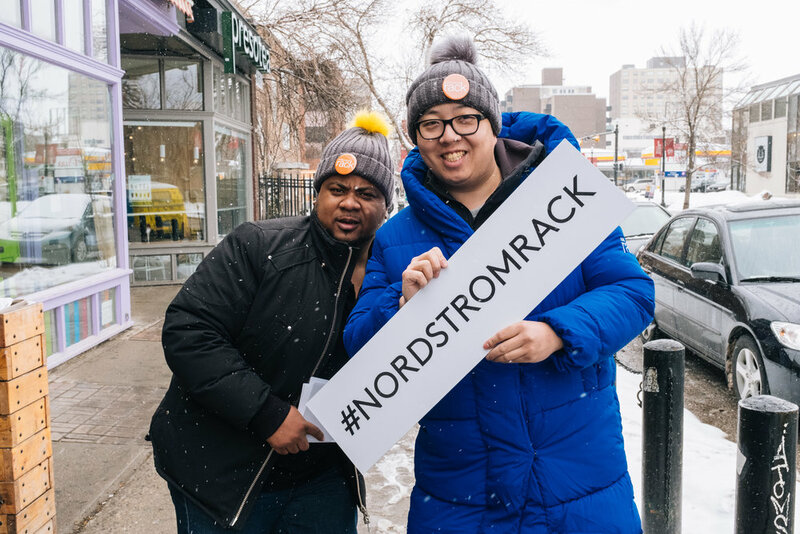 OutCold cannot wait to continue this spunky relationship with Nordstrom Rack to see they can dream up next.